Viewing and editing STL files, 3D renderings and 3D files has never been easier. Import STL files created with CAD and drafting software. Use our 3D modelling software to rotate and rescale existing meshes. Easily expand simple 2D outlines into 3D renderings. 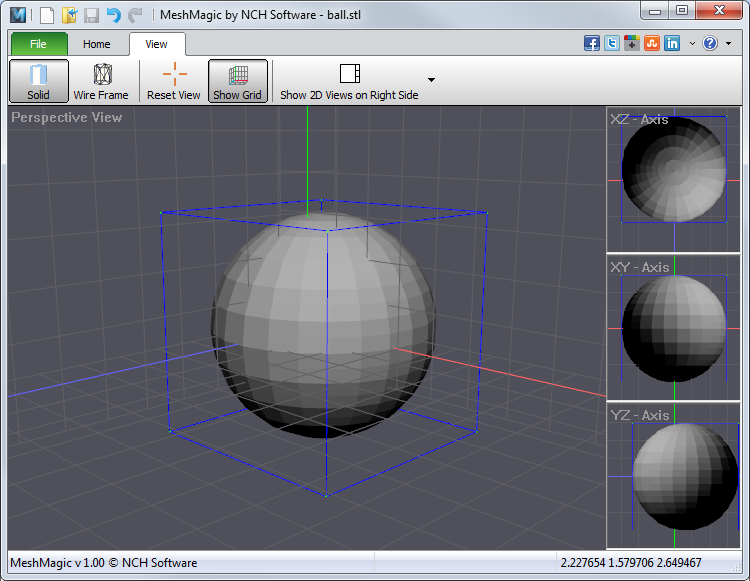 Working with 3D files using MeshMagic free 3D modelling software is intuitive. Quickly draw a 2D design and expand it to a 3D mesh. Import an existing STL file or other 3D file and modify it. We make this 3D drawing software free in the hope you will like it so much you will try our other Image and Design Software. 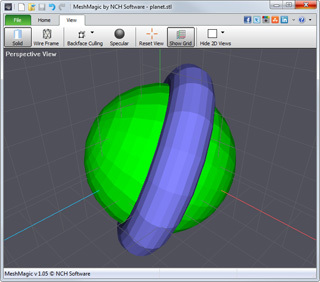 If you need to batch convert 3D files to another format, try Spin 3D Mesh Converter Software." Visualize and plan your dream home and landscape with DreamPlan Home Design. Design and sketch graphics for your design projects with DrawPad Graphic Editor. Easily edit and retouch digital photos with PhotoPad Photo Editor.